BRUSSELS (ICIS)--The new tariffs imposed by the US on steel and aluminium could risk starting a global trade war that would be detrimental for the world economy, the director general (DG) at European chemicals trade group Cefic said on Friday. Marco Mensink added that the tariffs imposed on steel of 25% and aluminium of 10% on 1 March by US President Donald Trump could mean the start of a protectionist cycle which could ultimately prompt the EU to impose its own tariffs, among other “safeguard” measures. The EU’s chemical trade group view mirrors that of its US counterpart, the American Chemistry Council (ACC), which said the tariffs could actually slow down growth in the country’s chemical industry. “[EU Commission vice president Jyrki] Katainen said it wisely yesterday: it’s much harder to stop a trade war from escalating than preventing one. That’s the negative of today: When you step into the cycle, it’s much harder to manage than just preventing it from taking place,” said Cefic’s Mensink. Mensink said that rather than tariffs, the EU should seek to impose “safeguard measures” for European steel and aluminium to avoid product not allowed into the EU to be dampened into the European market. Pressed on whether those measures could include the imposition of tariffs, Mensink said that could indeed be part of a wider package of measures to protect European product. The world is not yet heading towards a trade war for the moment, Cefic’s DG said, although he admitted it was “at the doorstep” of one. “Cefic is a pro-free trade organisation, the same way ACC is. For now, Trump is not imposing tariffs on chemicals,” added Mensink (pictured), who always likes to claim he is a naturally optimistic. - Are you optimistic on this one? - I am not. This is a risk for the global economy. Trade wars are not a solution to anything. The European steel trade group Eurofer on Friday said that with the imposition of tariffs, the US had chosen “global trade confrontation” and, without calling for immediate imposition of tariffs by the EU, it welcomed a promise from the 28-country bloc’s executive body, the European Commission, to impose “swift action” to safeguard the European steel industry. 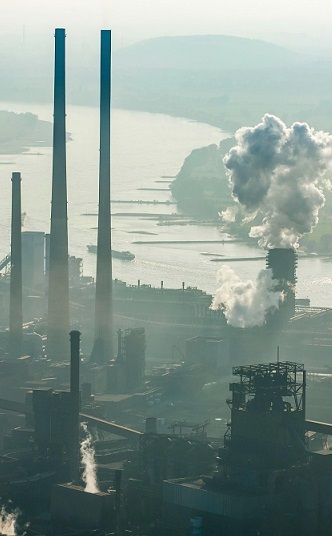 "From one day to the next, EU steel exports to the US – which were at 5m tonnes in 2017 – will be severely hit… In the current context of massive global excess steel capacity, markets will be forced to take preventive contingency actions to avoid domestic market disruption from trade deflection," said Axel Eggert, DG at Eurofer.